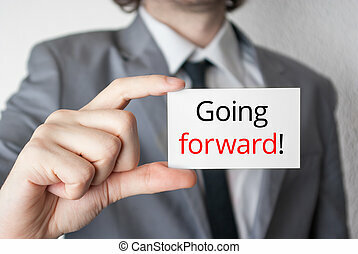 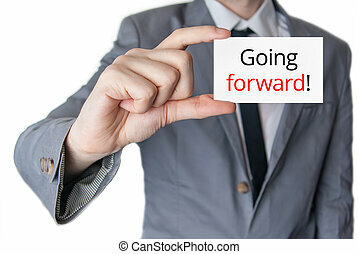 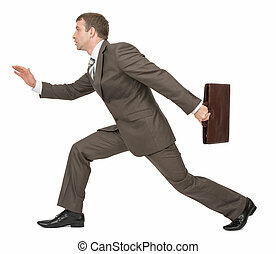 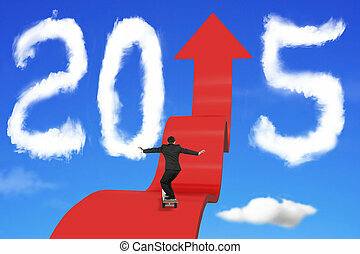 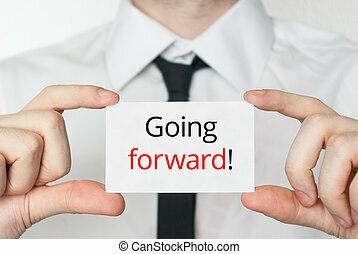 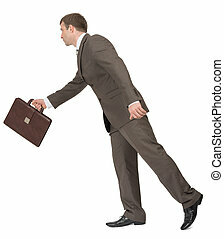 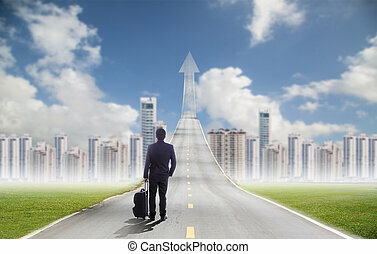 Businessman forward path. 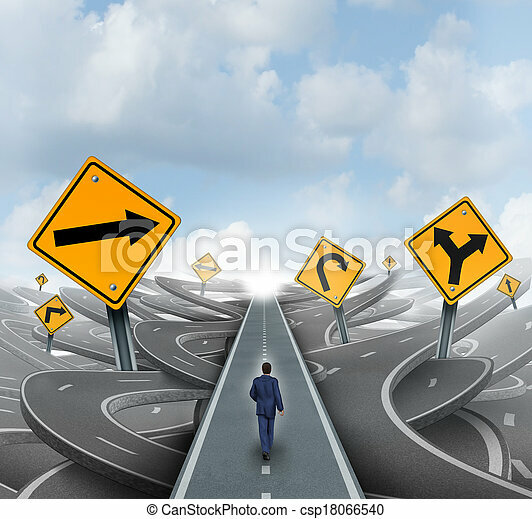 Businessman walking around confusion and chaos on a straight easy path and journey to success as a business metaphor for leadership solution to financial challenges. 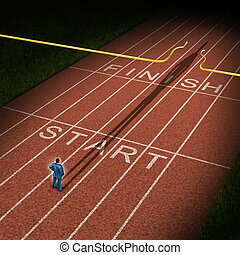 Forward thinking business concept for success acceleration with a businessman standing on the start line in a track and feild path with a cast shadow breaking through the finish line ribbon for victory. 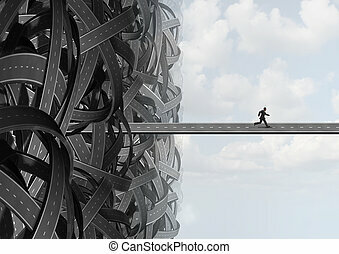 Escape way as a businessman finding the solution path to leave the confusion of a group of tangled roads finding a path to freedom. 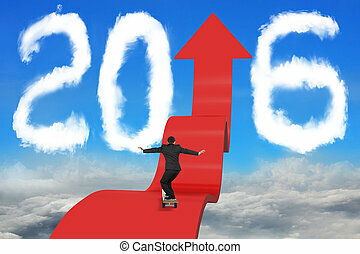 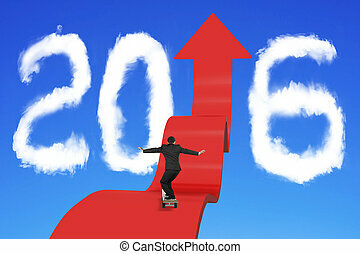 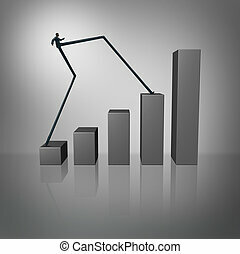 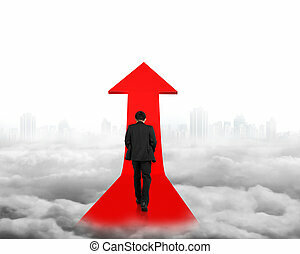 Leap forward as an accelerated success business concept with a businessman with long legs climbing a financial chart or graph as a metaphor for aggressive growth. 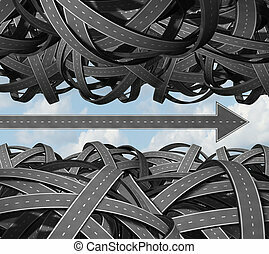 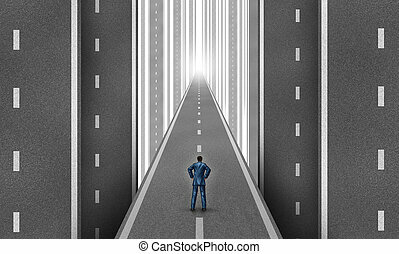 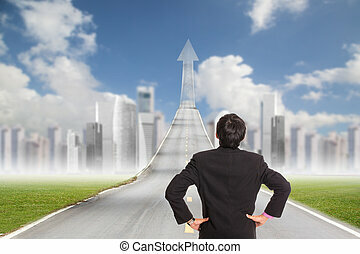 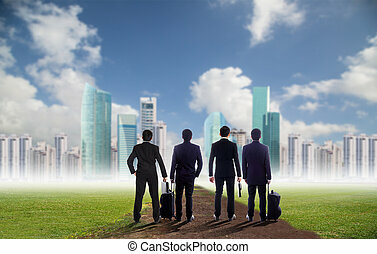 Businessman road concept as a group of vertical highways with a man standing on a straight path to success as a business metaphor for strategy and planning. 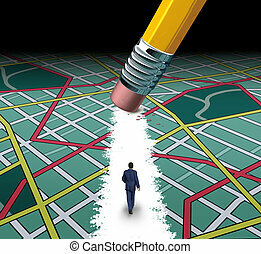 Innovative path and road to success concept as a businessman walking through a confusing highway map with a pencil eraser clearing a pathway to career or life success by cutting through the clutter. 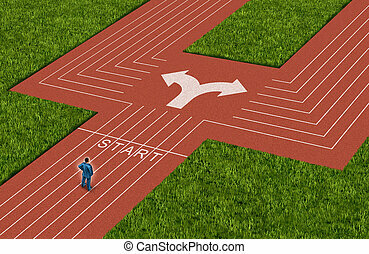 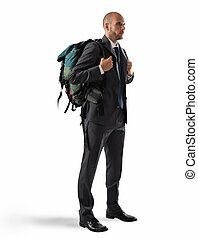 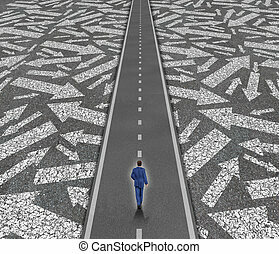 Confused businessman concept as a man standing on a road making a decision on a path to take with a group of arrows going in many directions as a business metaphor for strategy and planning crisis. 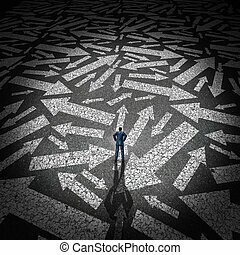 Businessman crossroads concept choosing the right path as a man on a track and field sport track facing a difficult choice and dilemma with two different business directions as a metaphor for decision crisis. 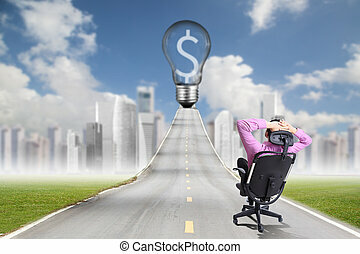 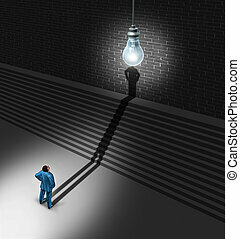 Brainstorming businessman concept as a man standing in front of upward stairs with his shadow going up the sairway to merge with an illuminated lightbulb over the head as a creative success metaphor for innovation achievement. 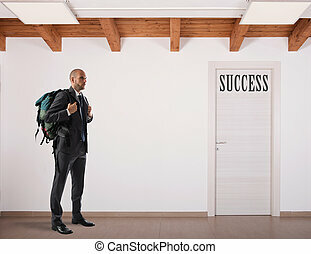 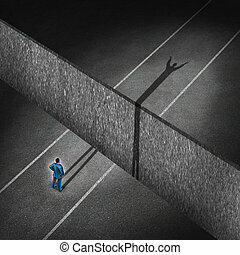 Successful businessman concept as a man standing on a road that has a deep cliff seperating it and the persons shadow crosses the obstacle making the impossible possible as a business metaphor for determination and leadership. 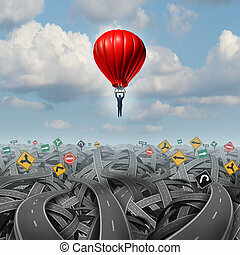 Easy way forward rise above confusion leadership concept with a businessman in a balloon flying and soaring over a complicated group of roads as a business metaphor of innovative creative thinking for success. 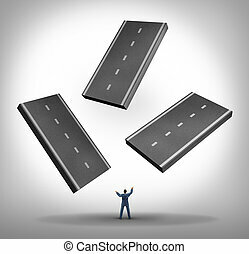 Constructing a path business concept as a businessman juggling pieces of three dimensional road as a symbol for planning a journey for success by building a pathway or travel and transportation icon. 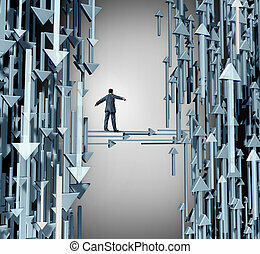 Path to profit business concept as a person walking away from a losing group of downward direction arrows towards upward symbols of success and profitable opportunity. 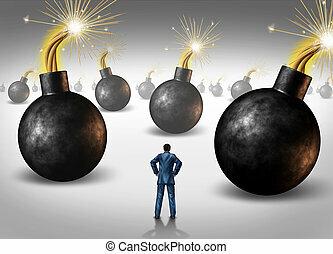 Dangerous challenge as a businessman conquering adversity as he decides on choices he faces as a concept of walking through a minefield as hazardous bombs with burning fuses ready to explode.